Renting a car is an option that is becoming more and more preferred by tourists. Low-cost airlines allow us to travel to any city in the world for very little money. Thanks to rental cars we can move from point A to point B for also very little money. But if you are still wondering if it is better to rent a car abroad, instead of using a taxi or public transport, we'll give you a few reasons to convince you. While enjoying your holidays and time-off from work, you will not want to think about things like taxis, schedules or bus stops. You will only want to explore, travel, improvise and enjoy your time. The car will give you this freedom, especially if you are on a family holiday and need a place for your luggage and kids. You can save money by booking a hotel that is a bit further away from the city center where you will stay and, thus, cheaper. 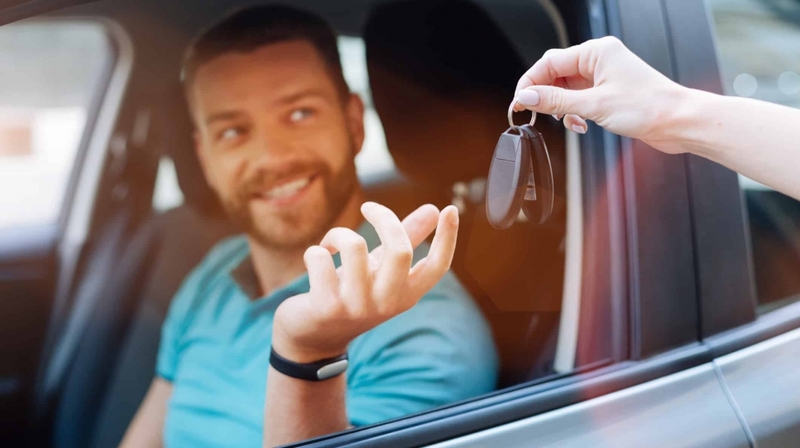 Renting a car will give you the opportunity to go to anywhere in the city, so you'll not have any need to be near the public transport or airport. The money you would save by staying at a cheaper hotel will compensate for the cost of renting a car, not to mention the freedom of movement and comfort you get. When you arrive at the airport it is very easy to find the offices of the car rental companies. Most of them offer a free car to the terminal, which will make traveling much easier. This way you will save money for fees (which may be quite expensive in some places) and buses. Although the latter are relatively inexpensive, they can prove to be an uncomfortable option, especially if the bus stop is far from your hotel. The price is one of the most important factor, especially for tourists planning their budget strictly. Competition in this industry leads to very affordable end-user prices, and a number of companies also offer great bundled deals. Most of them include in the price fuel, insurance and children's seats that make the entire investment fully deserved. If you are planning a longer holiday, you will most likely visit more than one destination in the country where you will travel. Renting a car will make it much easier for you to go around, as you will not be dependent on schedules, timetables and public transport. You will be determining the route, schedule and places you will visit. This will save you time, nerves and give you the possibility to can enjoy the holidays and the interesting places you will visit.